APS – January 31st, 2017. 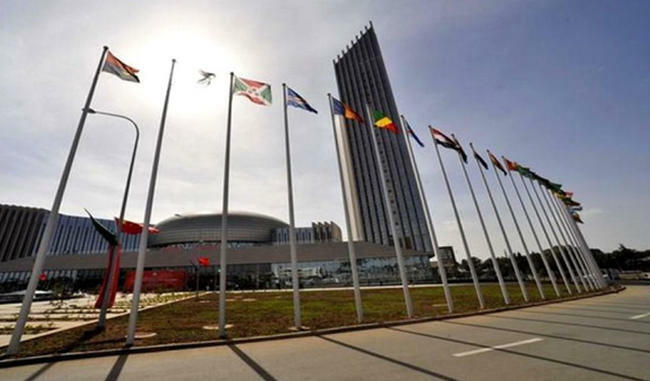 ADDIS ABABA – Algeria has achieved resounding diplomatic successes in Addis Ababa during the 28th Summit of the African Union, which illustrate its leading role and its undertakings towards Africa’s development and integration. Indeed, during the Summit proceedings, President of the Republic Abdelaziz Bouteflika, known for his commitment to Africa’s development, peace and security, was elected by his peers, Vice-Chairman of the AU for 2017. The second success of the Algerian diplomacy is the re-election of Smail Chergui, for a new term as the AU Peace and Security Commissioner, one of the strategic positions within the Union. For Minister for Maghreb Affairs, African Union and Arab League Abdelkader Messahel, Algerian Smail Chergui’s re-election represents a "big victory" for Algeria and is sign of "recognition" of its efforts for peace and security in the Continent. Fatima Zahra Karadja also has been elected member of the Panel of the Eminent Persons of the African Peer Review Mechanism (APRM), which is responsible for promoting good governance in Africa. Following her election, Karadja expressed her conviction that "this mechanism made by the Africans for the Africans will enable them to improve the governance in their continent." Besides, the president of the Panel of Eminent Persons of the African Peer Review Mechanism (APRM) Mustapha Mekideche was distinguished, in Addis Ababa for his efforts made within the framework of the APRM action. “It is a tribute that has been paid to me, a tribute to the country and also to the president of the Republic Abdelaziz Bouteflika, who is a founding member of this mechanism,” Mekideche told the press after receiving this distinction. Moreover, Algerian Chafika Bensaoula has been overwhelmingly elected judge at the African Court on Human and Peoples' Rights. All those achievements of Algeria are very much in line with its leading role as it has never stopped deploying efforts for the peace and the security of Africa and to make its voice heard at the international level.